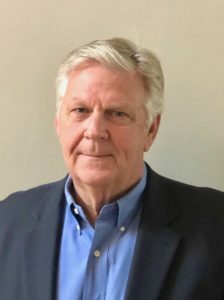 Waterloo, ON, Canada, March 19, 2019 – SSIMWAVE®, an innovator in the science of perceptual video quality measurement, today announced that Jim Daves, an integral contributor to the adoption of new technologies throughout his cable career, has joined the company as Director of Sales. Daves, who most recently had been senior director of sales, strategic accounts for Verizon Media’s Volicon arm, will be responsible for meeting expanded customer interest in SSIMWAVE solutions within the content, service provider and advertising sectors. Earlier this year, SSIMWAVE announced the hiring of Carlos Hernandez as vice president of sales, international and Brent Ross as director of sales to drive global growth. With Volicon, Daves worked closely to drive deployment of video monitoring and logging solutions with North American Tier 1 and Tier 2 pay-TV providers. Previously he successfully helped the industry maximize the value of emerging technologies as senior director, sales with Ericsson, Triveni Digital and Scientific Atlanta’s Power TV arm and as senior account executive with Technicolor. Earlier in his career, he was a regional sales manager with General Instrument Corporation and later with Hybrid Networks, for which he helped to pioneer the growth of broadband services. Meet Jim at the SSIMWAVE booth at NAB #SU6924. A company at the forefront of Viewer Intelligence® (VI®), SSIMWAVE® is built on an Engineering Emmy® Award-winning algorithm. SSIMWAVE is defining the future of video delivery by beginning with the end-viewer in mind. SSIMWAVE provides the most accurate measure of how humans perceive video. By modeling, measuring and optimizing viewer experience at every stage of the digital video distribution system, broadcasters, streamers, and content creators can deliver the ultimate viewing experience® to consumers on any screen over any network.